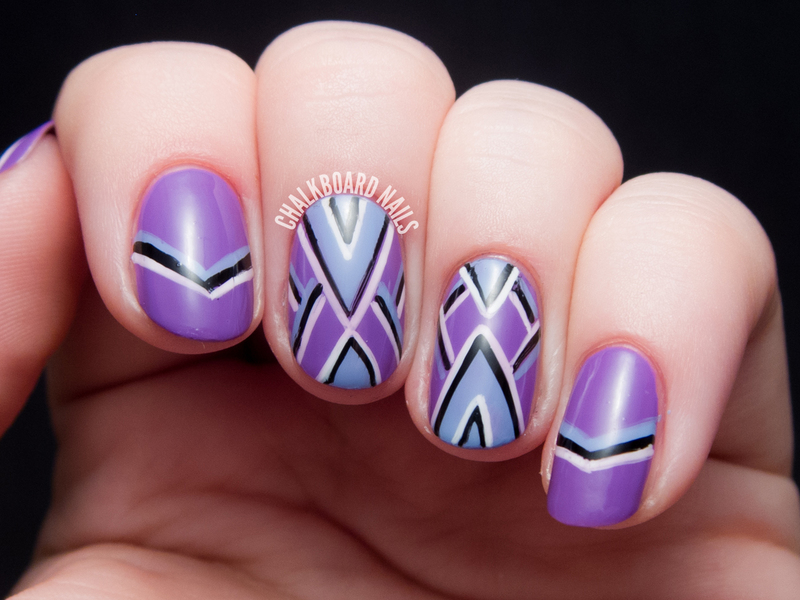 For this look, I used Misa Loveliest of Lilacs (purple) and Misa Great Grape (periwinkle). The white is Essie Blanc and the black is American Apparel Hassid. 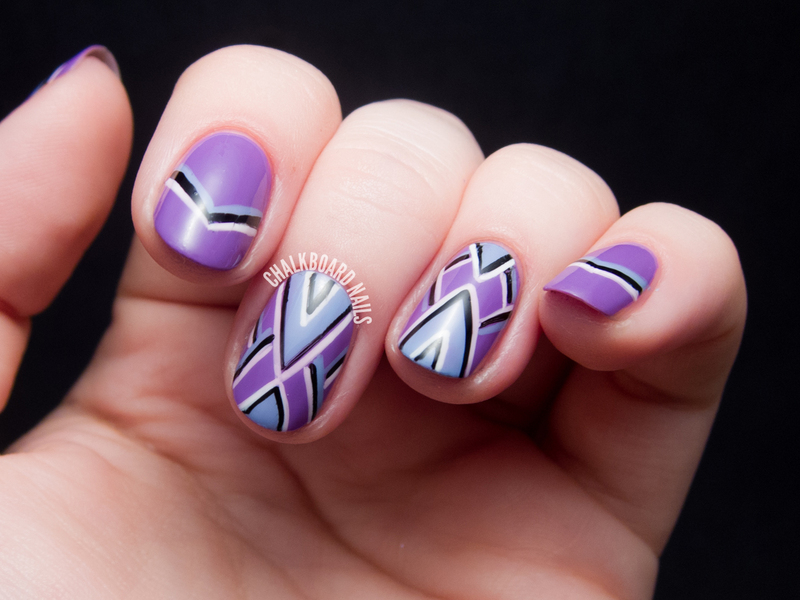 The chevrons in the nail art are all completely freehanded with a nail art brush that I trimmed down with cuticle nippers. I think Misa is one of the most underrated polish brands in the market right now, and I know I'm not alone in that sentiment. I don't see many people cover them, but every time I do happen to see swatches, it's pretty likely that I'll go shopping right away. I've always been really impressed with their formula and opacity, and I like their square bottles with the long handles. Your freehand skills are so good! These are very nice. Loving this. Line work is definitely something I need to practice. I can usually get one or two straight lines and then the rest look like I had a seizure. The colors are perfect, by the way. Thank you! I've definitely worked hard to improved my linework over the years. This is incredible. Did you use a top coat? And if so what was it? I believe I used Seche Vite for this one. I've been randomly testing HK Girl, too, which is also a great topcoat. Sarah, you created a beautiful design here. It looks simple, yet classy and sophisticated. I think this pattern would make a beautiful blouse or skirt. The colors work together so well. And yes, nail art can be VERY tiring! p.s. I have never tried Misa before, but I think I will go check it out! Some of my faves are Loveliest of Lilacs, Grey Matters, and Ripe Raspberry! Oh, I really love this! 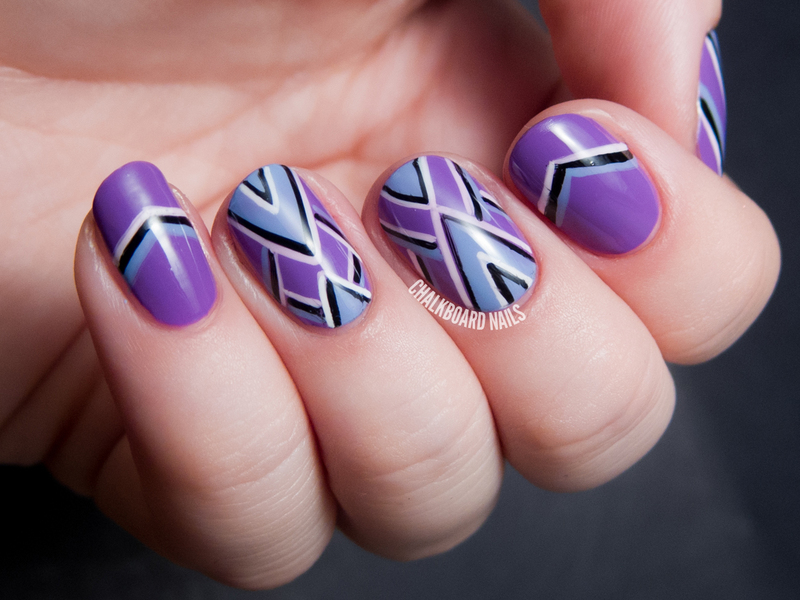 I'm so impressed this was done freehand. The colors look good together. 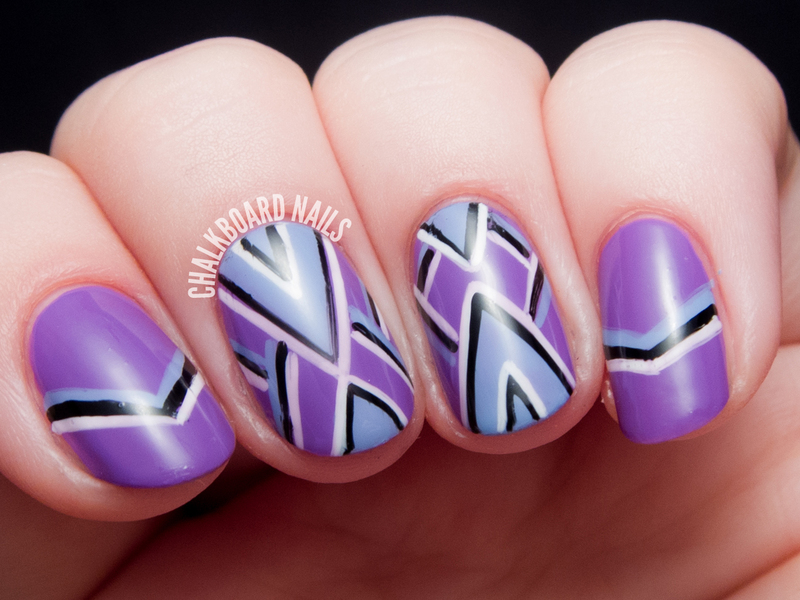 Gorgeous look and you are SO good at freehanding!